This was originally written in 2007 for the now defunct Moli.com, a hybrid business-social site, now defunct, that published a substantial amount of original content. I was business editor. This was the first part of an abortive series on comics creators, never completed due to the site's demise. The makers of comic books are all powerful. With a flick of their wrists, they create and destroy universes, cheat death, shatter the time barrier, and imbue mere mortals with powers far beyond those of mortal men. But despite their heroic demeanor and soaring imaginations, many of these omnipotent, omniscient Masters of Reality have been broke, exploited, and demoralized victims of corporate oppression. Occasionally, some rise up to fight this injustice and subjugation. As content, comics are now a primary source of material for blockbuster movies. But the business of comics is just that: a business, albeit a rapidly changing one. Once upon a time, there were many companies producing comics. But for the last 40 years or so, the best-known characters like Spider-Man, Superman, the Fantastic Four, Batman, the Hulk, and others, have come from two companies: Marvel and DC. Sales of traditional pamphlet-sized, individual "comic books" have dropped sharply over the last decade, while the sales — and mainstream cultural acceptance — of hard- and soft-cover compilations, as well as original "graphic novels," are ascendant. If you grew up reading comics in the '60s or '70s, you were regaled with tales of the Merry Marvel Bullpen, a wondrous place where all the artists drew their comics while laughing and kibitzing with writer/editor Smilin' Stan Lee. They had a grand time. Turns out the bullpen was essentially a myth. Few, if any, artists hung around the office, except to pick up a check and a new assignment. They toiled from home, or from their own rented studios. That's the way it's still done. Most of the creative work in comics is performed by freelance writers and artists on a work-for-hire basis, with the companies retaining ownership of the story, the characters (old and new), and any derivative works, like movies, TV shows, cartoons, lunch boxes, ring-tones — whatever. Creators are sometimes offered a slender sliver of the pie, but paying actual royalties to actual creators is a relatively recent innovation. 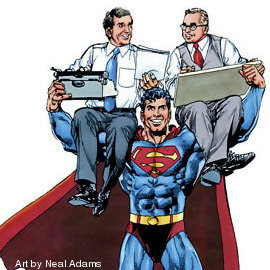 Years after signing away his rights to the iconic character, Superman co-creator Jerry Siegel couldn't even get a writing assignment from DC or any publisher. His partner, Joe Shuster, was legally blind and couldn't draw, so he toiled as a messenger in Manhattan and lived in semi-poverty. Marvel comics artist Jack "King" Kirby, at minimum responsible for the original design (if not the actual creation) of the Fantastic Four and nearly every other Marvel character, was forced into pleading, threatening, and finally shaming Marvel into returning a fraction of his original drawings — those that hadn't already been lost, stolen, or destroyed. "All I know is that I own my drawings, but they've got them, and they know that I own them," he told The Comics Journal back in 1986. "They know, and they're holding them arbitrarily. They'll grab a copyright, they'll grab a drawing, they'll grab a script. They're grabbers — that's their policy. They can be as dignified as they like. They can talk in lofty language, although they don't usually ... not to me [laughter]. They can act like businessmen. But to me, they're acting like thugs." And this was Kirby, the King of the Comics! Mere mortals, and just plain journeyman artists and writers, have been treated far worse. While it's legal and practical for publishers to exploit (in the positive sense of the word) their intellectual property, until quite recently these companies have also exploited their freelance writers and artists, paying on a per-page basis with none of the benefits typically accorded salaried employees, such as health insurance, paid vacations, holidays, etc. When a group of veteran writers organized in the mid-1960s and asked for basic health insurance, DC's reaction was to abruptly cut off their work — in effect, firing them. That was the end of that little uprising. Modest improvements were made over time, including the advent of creator-owned properties and shared trademarks, royalties, and payment for reprints. Most of the advances were incremental and isolated until 1992. Before that important year, the hegemony of Marvel and DC had been challenged by a handful of smaller publishers: Dark Horse, First, Pacific, Eclipse, Malibu, Comico, Valiant, and others (all of which are now out of business except Dark Horse, whose close ties with film properties like The Mask, Time Cop, and other Hollywood productions augment and support their print ventures). Some of the indies produced books with production values equal to or better than the majors, though the quality of the stories and art varied greatly. Distribution was inconsistent, at best. They were less a threat to the Big Two and more of a farm system for new talent. But in 1992, seven of Marvel's hottest artists (Erik Larsen, Jim Lee, Rob Liefeld, Todd McFarlane, Whilce Portacio, Mark Silvestri, and Jim Valentino) met with the company's management and announced the formation of their own publishing entity, Image. Jim Lee told author George Khoury in Image Comics: The Road to Independence, "There was a wide, wide rift between how we perceived ourselves and our value to the company as creators, and [how] they valued us as creators, and I think they felt that they would survive without us. And they did, ultimately. They took a hit for ... several years because I think they underestimated what Image would become." Image began to publish books written and drawn by the rebel alliance. At first Malibu distributed the comics. After learning they were paying Malibu for services that they could handle themselves, like dealing with printers and other vendors, Image distributed the books themselves. But Image wasn't even a publisher in the traditional sense. It didn't own the copyrights, trademarks, or characters. It was (and is) more of a collective, with each of the then-six (Portacio dropped out) shareholders owning their own creative properties and calling the shots. The effect of Image's entry into the marketplace was immediate; initial sales of their books were quite high, even surpassing DC's volume, albeit briefly. Comics featuring their creations — Spawn, The Savage Dragon, Wildcats, and others — sold in the millions (! ), and the Image founders became quite wealthy, especially for comic artists. It's worth pointing out that these Image founders were all artists, and not writers; none wrote their own tales, though some had already begun either scripting or "plotting" the stories they drew at Marvel in collaboration with an editor or a "scripter," who penned dialogue to match the action depicted in the drawings. In the wake of Image's success, several groups of writers and writer-artists also tried forming similar publishing collectives, but none gained traction and all were abandoned. Image itself didn't stay together. Jim Lee's Wildstorm imprint was wholly acquired by DC in 1998. Lee is still ostensibly in charge of the creative side, but DC manages the business, which frequently involves creative decisions, too. Marc Silvestri's Top Cow Productions left Image in 1996 but returned shortly after Image founder Rob Liefeld was voted out by the other partners over a variety of complaints and conflicts. Top Cow regularly works with Marvel. Lee and Liefeld have also drawn books for their old company, though since the DC acquisition, Lee's work has mostly appeared under that company's banner. The comics industry is subject to the same competitive forces faced by most businesses, including consolidation. Image, though originally formed as a means to empower and enrich its creators, found that they still had bills to pay, payrolls to make, and profits to turn. Business is business; it's revealing that nearly all of Image's current books are written and drawn by non-partners. But creators still seek to create businesses to serve their needs — and not the other way around. The latest, artist Steve Rude, is a journeyman "artist's artist." In an upcoming post, we'll explore the secret origins of his new company, Rude Dude Productions, which one skeptical veteran editor termed "a suicide mission." We'll see. © 2007, 2008 The Pachter Family Trust. Originally appeared on www.Moli.com. HADRIAN'S WALLS. Robert Draper. Knopf. 326 pp. The best thing a novel can do is to reveal a heretofore-undiscovered world. 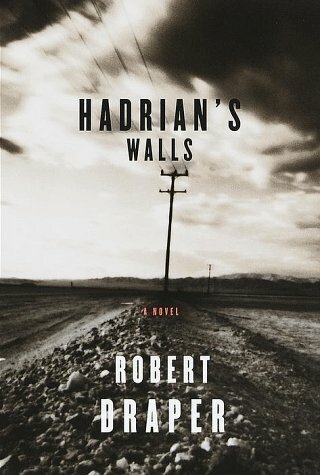 Former Texas Monthly editor Robert Draper's first novel, Hadrian's Walls, does all this and more, presenting a tiny universe that crackles with conflict, contradiction and energy. It is an impressive work of entertainment and literature; with its page-turning plot and vibrant characters, it's perhaps the perfect book for summer reading. Draper's revelatory universe is a Texas prison town; truly a microcosm of humanity. With layers of politics, personalities and perversion, the heroes and villains live on, long after the story concludes. Hadrian Coleman is an Everyman; a Prodigal Son, to be sure, but also a figure of great gravity and tragedy. The childhood murder was, of course, the singular event in his life, but his existence before and after is even more defining -- and filled with archetypal characters and situations. Hadrian's father is the country veteran who can do no wrong; his best friend is the town's ne'er do well, the woman whom they both love is the unattainable goddess, and so on. Draper not only breathes life into these hoary, would-be stereotypes, but imbues them with such vibrancy and vitality that they're born again as fresh characters. Hadrian's Wall's would make a terrific movie (Matthew McConaughey: call your agent!) or -- better yet -- a miniseries, but don't hold your breath. 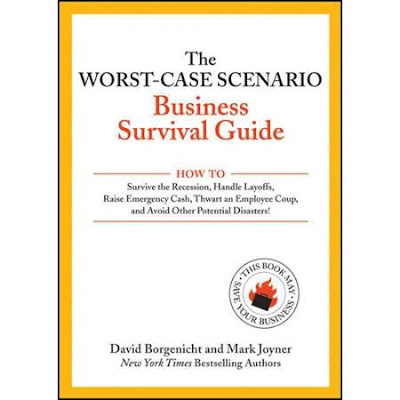 Instead, read this book, and just try to wait patiently for the author's next one. I certainly will. 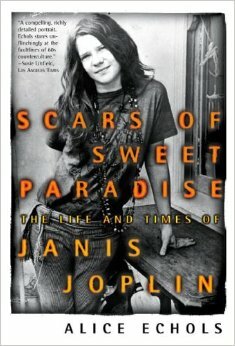 SCARS OF SWEET PARADISE: The Life and Times of Janis Joplin. Alice Echols. Metropolitan Books. A self-professed folkie who gravitated to the music of Odetta and Leadbelly, Joplin barely attended classes, devoting all of her time to nearly nonstop partying and sexual explorations. She began singing at clubs and coffeehouses and nurtured her growing talent, which was sometimes fueled by copious amounts of legal and illegal substances. In San Francisco, Joplin found a community that welcomed her as a kindred spirit. 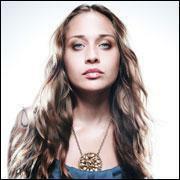 The burgeoning music scene was a hotbed of experimentation, socially, sexually and sometimes even musically. Bands like the Grateful Dead, Jefferson Airplane, Country Joe and the Fish, and the Charlatans recognized Joplin's talent and outrageous character. She hung out — and coupled — with many of those involved. Country Joe McDonald had a relatively long-term relationship with her, and memorialized the singer in his song Janis, on his 1967 album Feel Like I'm Fixin' To Die.